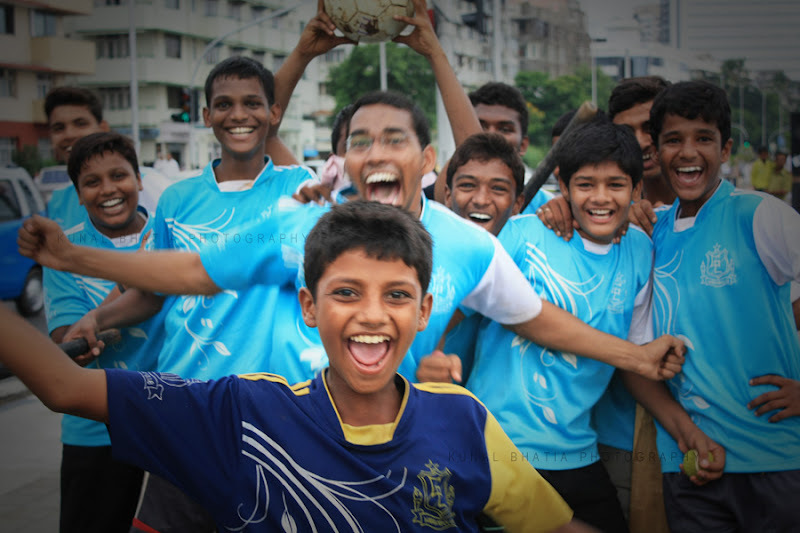 with the FIFA world cup on, this bunch of young footballers have all the reasons to be euphoric. Happy faces! :) A nice and colorful shot! I like it! this image is full of energy and happiness!